As the world of 3D printing evolves and revolves, it has developed kinships with other technologies that seem to function as symbiotic cousins. Both virtual and augmented reality fit right into that category, and not only are they parallel similar technologies, but they often employ 3D printing due to the affordability and flexibility involved in prototyping. 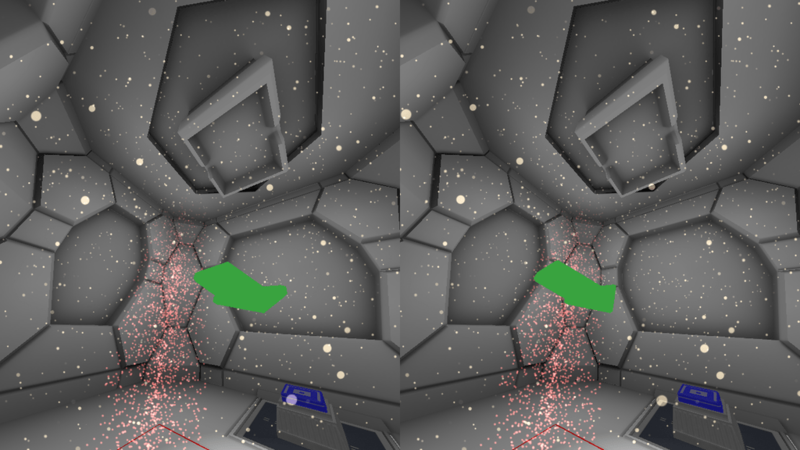 With many iterations usually being required, for AR and VR, it’s usually very helpful to be able to create a new prototype on whim or at the last minute. While you can try this out if you are on hand today at the Expo, it’s easy to put together if you own the iPhone and a Structure Sensor. If so, all you will need extraneously is the HOMiDO VR headset and the ability to 3D print a custom attachment piece to create the system. This is a spectacular AR gizmo that allows you to enter another world right from your living room or yard. Previously this technology was connected only to the iPad; with the inception of the iPhone 6, however, the entire setup is able to be transferred to the smartphone. In the video you will find below, he shows off the 3D printed iPhone case that he designed, which is attached to the Structure Sensor, as he dons the headset, allowing him to experience VR and AR with six degrees of motion. One puts on the headset and connects the Structure Sensor, which quite simply adds a depth sensor allowing every step you take in your living room to be recreated in the virtual world, whether you are crouching like a ninja or high-stepping it in pure unabashed fun. This means you aren’t just going into the technology blindly either as physical objects are introduced into the VR world, eliminating the risk of tripping, embarrassment, and bodily injury. It is a compact mobile device requiring no power source, and allows you to use 3D printing brackets to attach it to the iPhone or to an iPad with a Lightning connector. 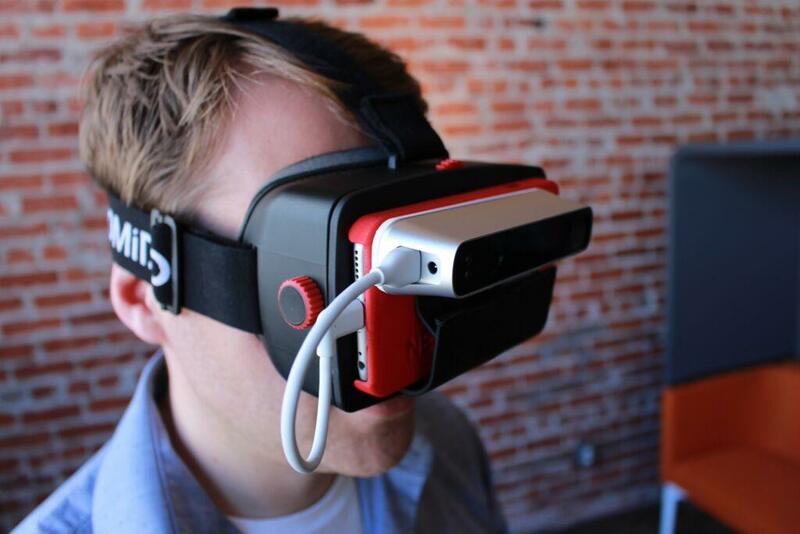 It allows your smartphone to understand the world in 3D. Does this look like a VR/AR device you’d like to put together yourself and try out? 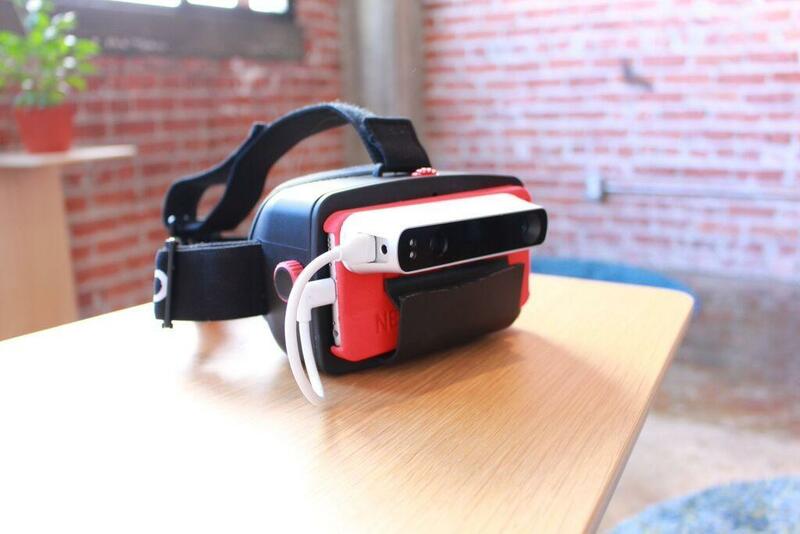 Will you or were you on hand at AWE 2015 to check this out? 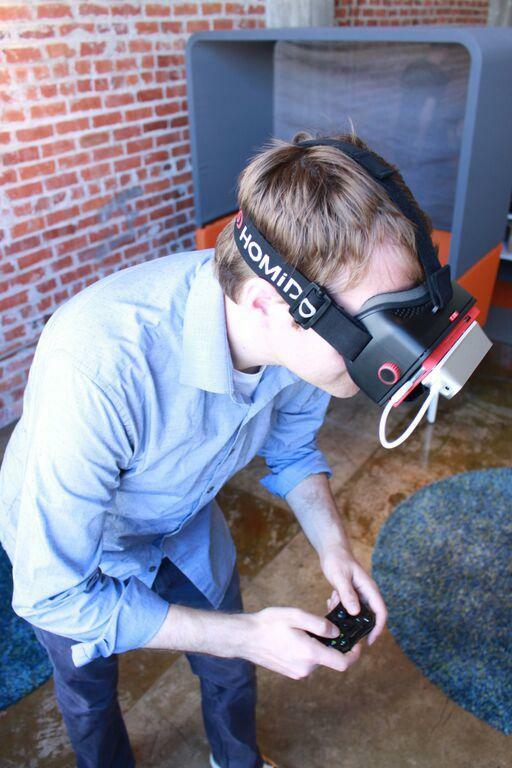 Tell us about it in the Occipital’s NEODiVR AR/VR System forum over at 3DPB.com.